The Goethe Institute for German culture supports an interesting blog called “Meet the Germans” with the aim of “to explore what’s typical of Germany and German society. We’ll introduce people in different walks of life and try and find out what lies behind various German habits.” In their website you will find different sections all about German culture, historical figures and facts as well as modern artist and relevant figures of the country. In Typical German page, they talk about bargain hunting, Nordic walking, Bavaria, Sauerkraut and more. In “Germans handpicked” they aim at introducing them to us: the Germans – the eloquent, arty and noisy ones, the actors, gourmets and deep thinkers. Their reason? Because they want us to get to know one another. 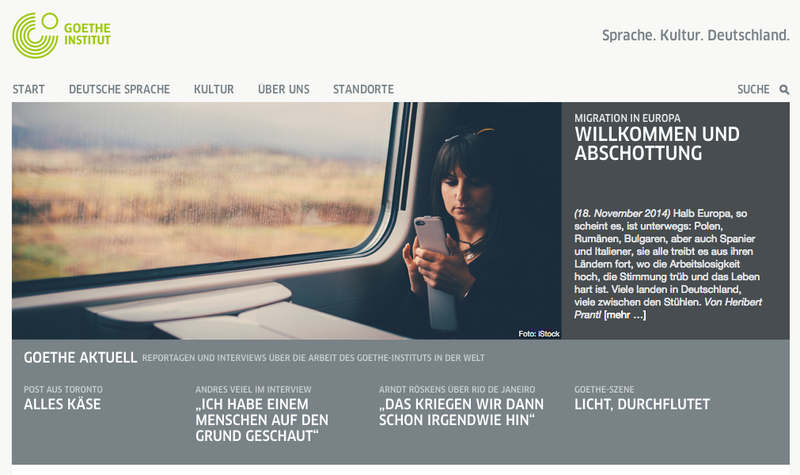 Further, the website talks about how others see their German acquaintances; quizzes about history, politics and finally learning materials in the German language. If you are interested in learning more about it visit www.goethe.de. For German translation services, contact translation company Instantranslation.ie.